Historians now largely agree that Jesus wasn’t actually born on December 25th, but that doesn’t mean no one of historical significance was born that day. Here are the stories of eight famous people born on Christmas Day. 1. Isaac Newton: Yes, Mr. Gravity himself was born on Christmas Day in 1642. This was under the Julian calendar, so the anniversary of his birthday is now considered to be on January 4. 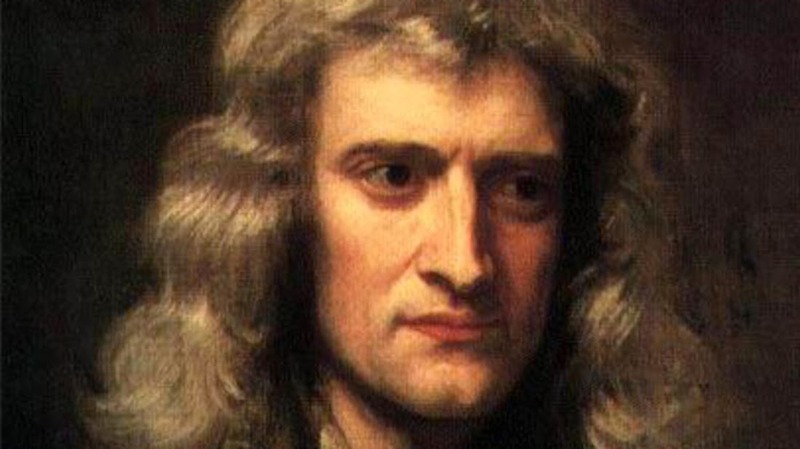 Interestingly, Newton was one of the first people to suggest that Christmas Day was not actually the anniversary of Jesus’ birth, but a date selected to correspond with the Roman celebration of the winter solstice. 2. Clara Barton: Before founding the American Red Cross, this teacher-turned-nurse was born in a Massachusetts farmhouse in the evening of December 25, 1821. The youngest of five children, she was raised by everyone in her family, once noting, “I had no playmates, but in effect six fathers and mothers. They were a family of schoolteachers” In time that education paid off, allowing Clara to start the first free public school in Bordentown, New Jersey, before moving on to her life-changing role as a Civil War nurse. 3. Muhammad Ali Jinnah: While 95% of Pakistan’s residents may be Muslim, it doesn’t change the fact that the Islamic founder of the country was born on Christmas Day 1876. 4. Robert Ripley: In 1918, just six days before his twenty-eighth birthday, the hero of odd-ball fact-lovers around the world published his first cartoon in The New York Globe. The cartoon, called "Champs and Chumps," featured a selection of random sports facts and launched his career in the weird and the creation of Ripley’s Believe It Or Not! 5. Humphrey Bogart: While it is widely accepted that the man who played Sam Spade was born on Christmas Day in 1899, some people have accused Warner Brothers of fabricating this fact to romanticize Bogart’s biography. These people claim he was actually born on January 23, 1899. No birth certificate has ever been found, but most of the evidence does point to him being a Christmas baby. 6. Jimmy Buffett: Plenty of music artists record holiday albums, but most of them aren’t singing about their birthdays at the same time. But in 1999, Parrotheads everywhere got a taste of the Christmas spirit when Buffett released his Christmas Island album just in time for his 53rd birthday. 7. Annie Lennox: Just in time for her 34th birthday, Lennox took her first step into the Christmas album arena when she covered Al Green’s “Put a Little Love in Your Heart” for the 1988 Scrooged soundtrack. This year, she also released her first full Christmas album, A Christmas Cornucopia. 8. Shane MacGowan: The Pogues released “Fairytale of New York,” a song depicting a drunk man’s tales of holidays past as he spends Christmas Eve in a police drunk tank, just in time for their lead singer’s 30th birthday in 1987. What other famous people were born on Christmas? Are any of you Christmas babies?